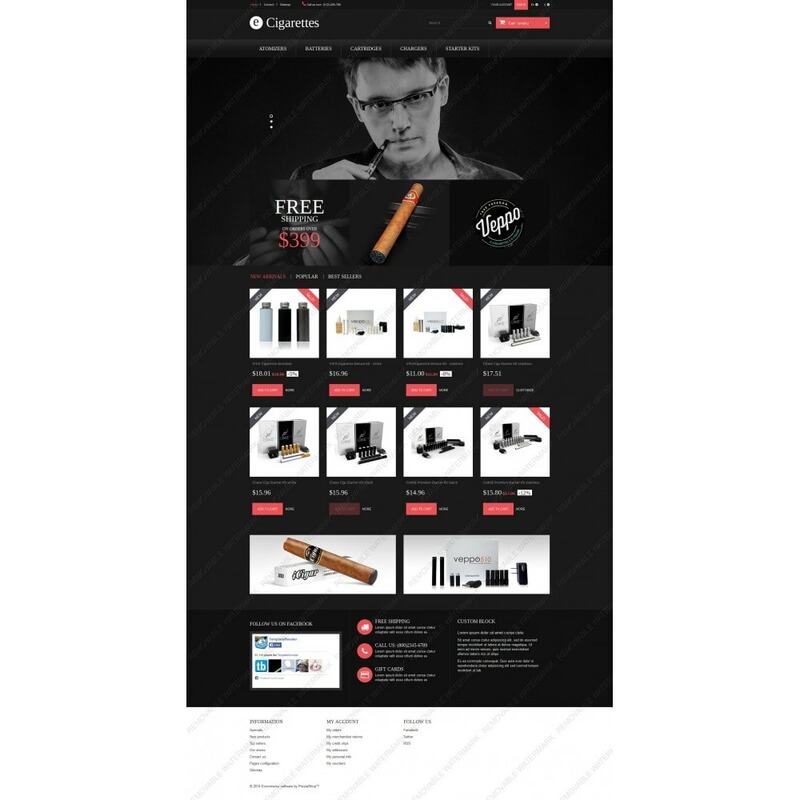 Choosing cigars will never be a daunting, tiring task thanks to this contemporary template. Built in light and dark grey hues, it will add a bit of a mystery to your website. It won't require you much time to customize the theme to your liking. 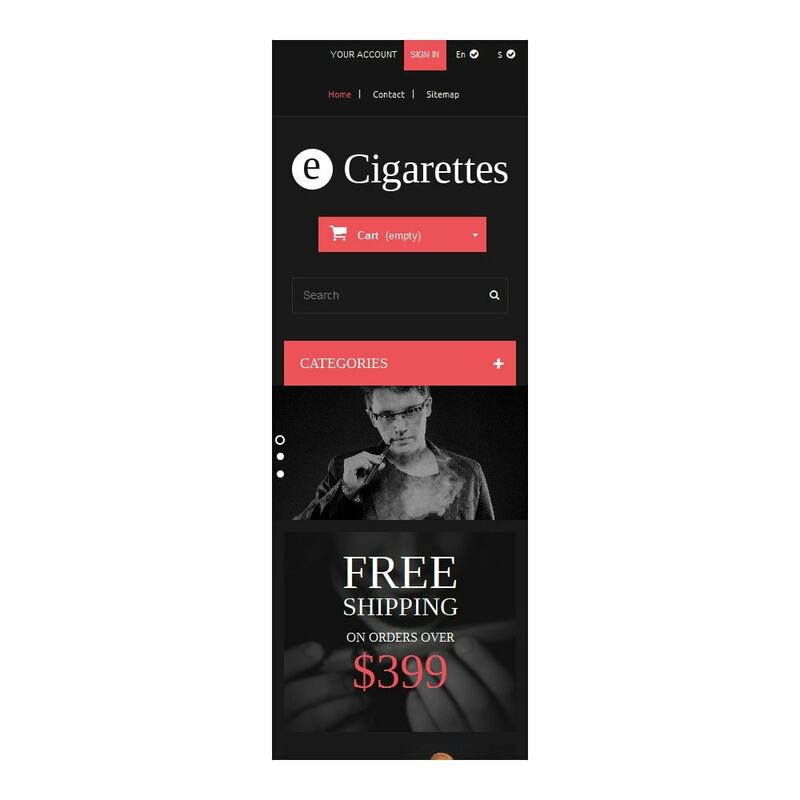 Set the color scheme, fonts, visuals, pick the categories of products you'd like to display on the home page, customize banners or any other content, and that's it. 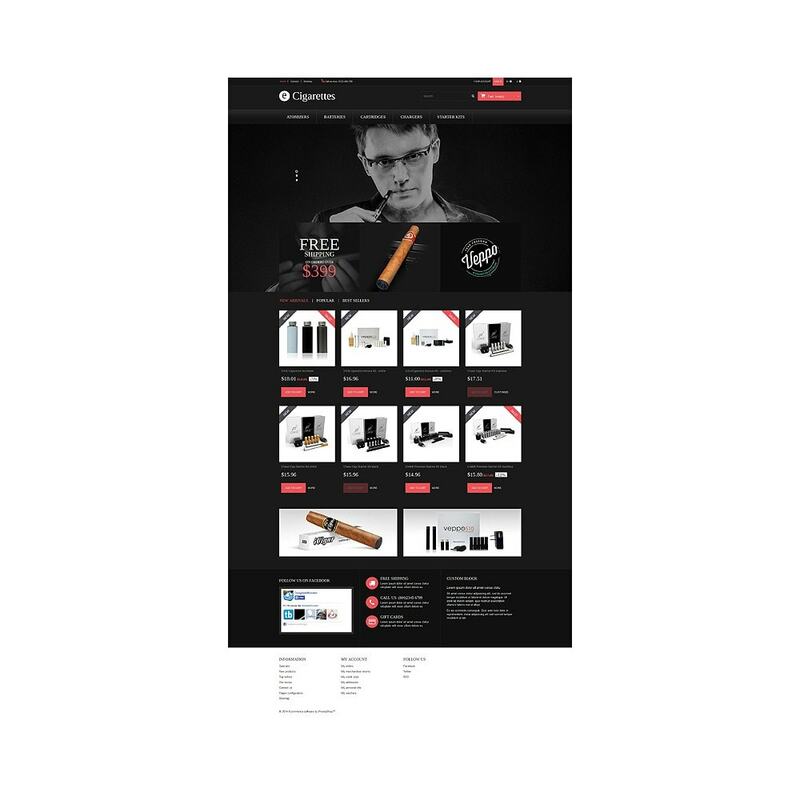 You are ready to bring your store online. 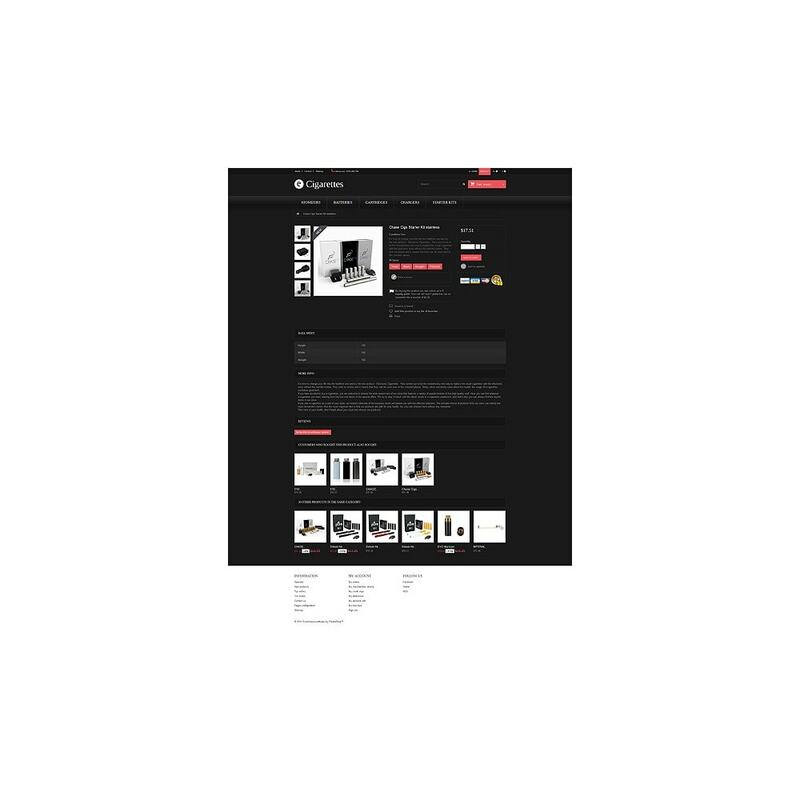 Special deals, prices, availability all this people can access in a click. Check out live demo to see it for yourself. 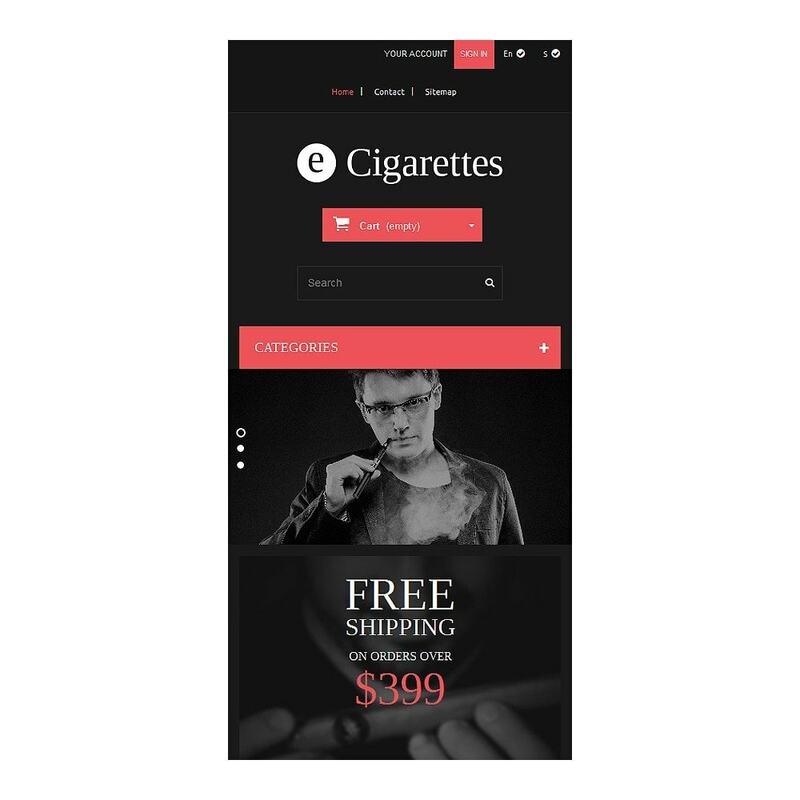 Make use of this theme to build tobacco, electronics, and music shops.